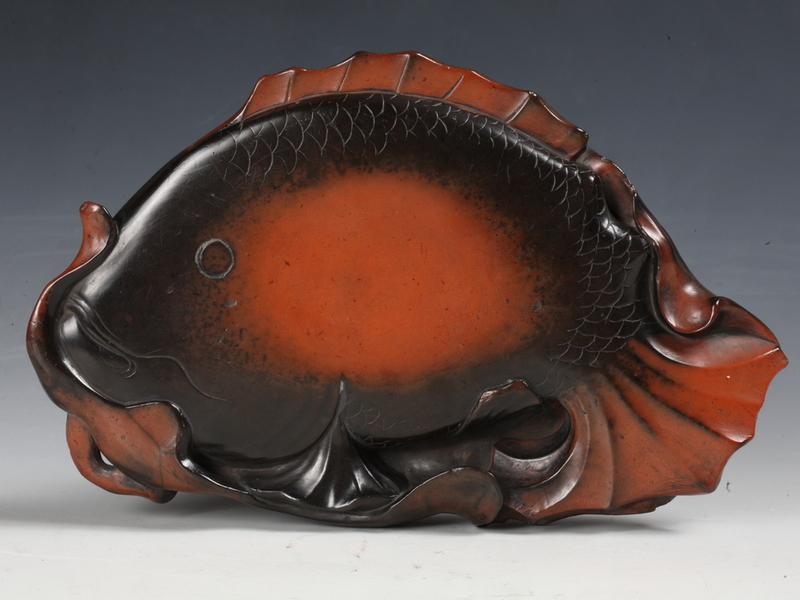 This cinnabar red inkstone is a high-quality work made of extremely fine high-grade chengni clay with a bright, lustrous colour. 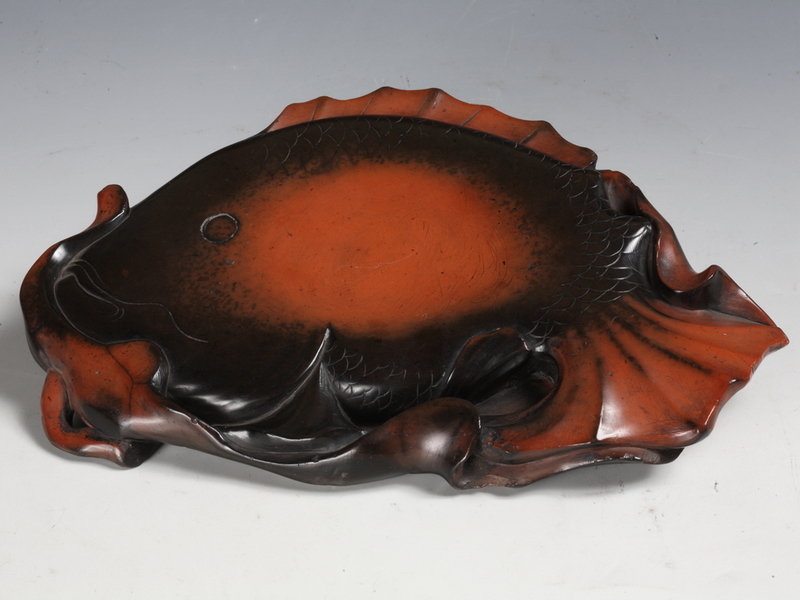 The front face of the inkstone is sculpted in the shape of a fish, while the reverse side is formed into a black lotus leaf, creating a powerful contrast between red and black. The piece has fluent and naturalistic lines, is of the highest quality material, makes splendid use of colour, and is exquisitely sculpted. It is a rare example of such high-quality inkstones. The reverse of the inkstone features two clerical script inscriptions, reading “Offer remonstration and share praise” and “Gifted to the collection of Song Kailai by the Great Minister of War of the Chuyi Garden”. An inscription of semi-cursive script in small characters reads “leaving dirt and disgrace, companion scholars. A belly full of books, together we pass over the dragon gate.”Passing over the dragon gate describes a carp becoming a dragon, used as an allegory for official promotion.